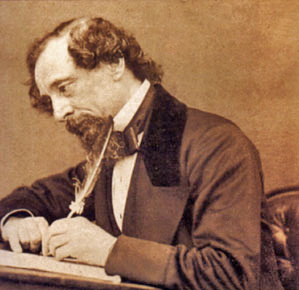 Charles John Huffam Dickens was a Victorian novelist who created some of English literature's most iconic characters. His novels are concerned with social reform. Most of these novels first appeared in magazines in serialised form. Unlike other authors who completed entire novels before serialisation, Dickens often created the episodes as they were being serialised. Great Expectations is written in the first person from the point of view of the orphan Pip. The novel, like much of Dickens' work, draws on his experiences of life and people.